Vincent Willem van Gogh is no doubt one of the world’s most known and beloved artists. Many people have a vague idea about Van Gogh’s turbulent years in France when he created his most famous works. But how was Vincent as a child and young man? Join us on a journey of discovery through the picturesque landscapes of the province of Brabant. 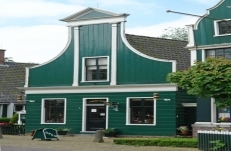 We will visits Zundert -Van Gogh’s birthplace and where he spent his childhood and then drive to Nuenen where he created his first masterpieces depicting the local inhabitants and landscapes. We will try to unravel some of the hidden corners in this genius’s life, which was just as colorful and passionate as his paintings. * If you wish to make it a long Van Gogh day we can continue to the Kroller-Muller museum where some of his best work is on display.